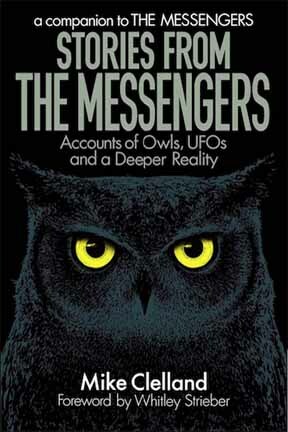 More owl weirdness with people who claim direct UFO contact. I heard a really interesting interview with an Australian woman named Judy Carroll. She has had over 50 years of encounters with the Grays, or as she calls them, the Zetas. 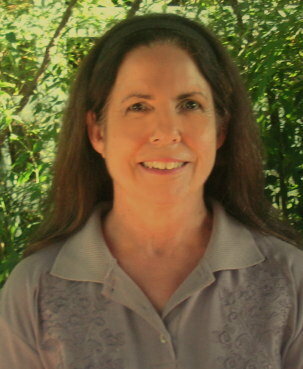 She has written a series of books describing conscious and positive communication with ETs. I reached out to her because one of her books had an owl on the cover. Below is our back and forth email correspondence, edited slightly for clarity. I just heard your interview with Randy Maugans, and then went to visit your site. 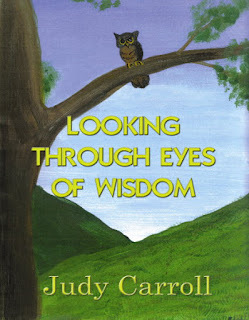 I was immediately drawn to your book: Looking Through Eyes of Wisdom with the owl on the cover. I have had a lot of experiences with owls as well as a confusing set of memories that point to some sort of UFO contact. 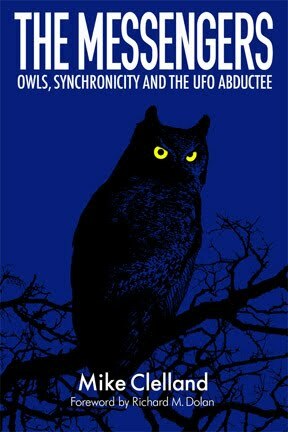 So, I am intrigued any time I see an owl in the context of the UFO phenomenon. I've seen a lot of owls - and I am confident that these are REAL owls and not screen memories. I’ve had sightings that go way beyond what would be normal. I have spoken to raptor biologists and they are genuinely perplexed at my experiences. One theory is that the owls (again, real owls) are being used somehow, and the aliens are somehow using their telepathic skills to see thru the owl's eyes. The owls would be used as a sort of camera to look at me. They have excellent night vision, so the aliens perception might be quite clear. This is a nice theory. The other idea that rings true to me is that the owls are part of a shamanic initiation of some sort. Yes, the owls are real – there’s no doubt about that. In my experience one flew in under our house, which was a ‘Queenslander-style’ up on stumps but almost completely enclosed underneath... This owl had been hanging around our property for about 3 days, despite dogs, cat and horses loose everywhere, and every time I stepped outside it was right there on the fence, staring at me. On the third day I was sitting under the house reading a book when the owl flew in through a narrow doorway and came to perch on a rafter directly above my head. I’m a bit scared of birds, so I ran for my life, book held over my head for protection! I then waited outside watching both doorways, waiting for the owl to fly out – but it never did. Finally I summoned up my courage and went back in, but there was no sign of it, and it never returned. I agree with both of your suggestions, that the ETs are using their telepathic skills to look through the owls’ eyes, and also that there’s shamanic symbolism there as well, but with the Zetas there are always 3 reasons/explanations. The third one is – the Zetas are expert ‘shape-shifters’ and can easily appear as a very real owl, or whatever, if they need to. They seem to prefer animals that resemble themselves, that is, ones with large eyes or at least good night vision eyes. The number three repeats itself in her message. The owl was watching her for three days. Three explanations. This ties into my (repeated) sightings of three owls. 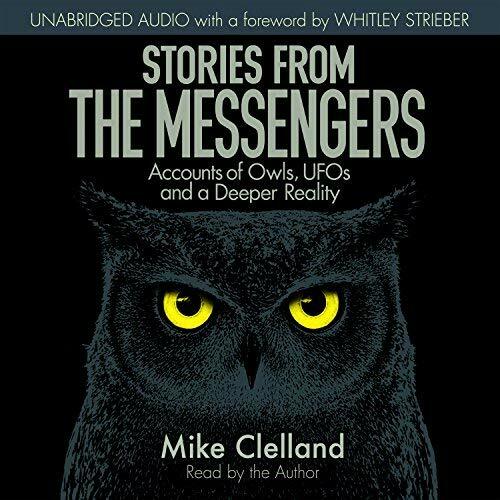 The idea about aliens seeing through the eyes of owls came from a comment left by Whitley Strieber in one of my very first blog posts, and I write about it HERE. I recommend the two-hour long interview with Judy and Randy Maugans on his podcast series Off-Planet Radio. "One theory is that the owls (again, real owls) are being used somehow, and the aliens are somehow using their telepathic skills to see thru the owl's eyes." I had a weird conversation with this guy a few years ago who was pretty much an addict, mostly cocaine, who was convinced that the birds in the trees were actually cameras that were watching him all of the time. So, these theories sound really familiar to me, but I encountered them in a totally different context. So I am sort of skeptical to this approach. I think the reality of what is going on is FAR STRANGER than the theories we've come up with. I think the idea of extraterrestrials is nowhere near as strange as what actually is. Interesting talk between Judy and Randy.The funny thing is I had to travel to the other side of the planet through the internet to hear someone who lives about 10 kilometers away from where I live (if her contact address suburb - Cannon Hill is roughly where Judy lives,that is). I have never heard of Judy before,but then again I don't follow any UFO stuff apart from what you write about on your blog. I don't see many owls where I live,but I have seen the odd one or two.But they are a rare sight for me. "The Red Book" about meditation being the one thing you must do. I've had close encounter experiences where I saw GIANT white cats or white owls that were very obviously screen memories for actual physical Greys that were there. That's one kind of owl or cat encounter-- not really an owl or a cat, but certainly a mystical symbolism is created when they use animals that look like them as a part of their screen persona. Then there's the genuinely weird encounters with REAL cats and owls that don't act normal. We have a real large white owl of some sort that we see quite regularly where I live, always alone, that seems to be seen MORE when we're having other paranormal experiences. A weird sync there for sure. Given the Greys' abilities, it would not surprise me if they could use a distant telepathy to engage their essence with actual owls or cats-- but I've almost always lived with cats, and I've NEVER had a cat that showed an alien presence within in any way. Believe me, I would be alert to anything of the kind! Odd bird behavior though... now that I've had a few times. Uncanny stuff that just keeps happening. For instance, I never get any attention from the red-tailed hawks in my area-- unless I'm outside talking on the phone with YOU about certain topics, Mike! I make note of it all, but I can't say as I understand it yet. 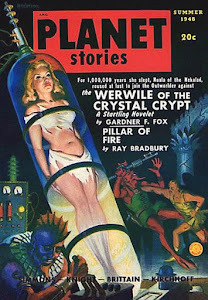 I saw your blog after googling Owl Planet/ Owl Extraterrestrials. My inquiry into trying to find some information comes after having two dreams and one owl sighting/ vision(?). I question it because, when thinking about the experience now, it seems like it could have been a vision.... or I am talking myself out of really seeing a snow owl in my back yard. :) I thought I would share my story after reading that you are eager to hear stories. My first dream was not a dream in the true definition. 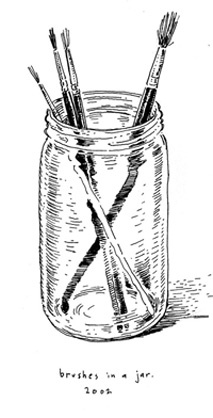 It was my consciousness witnessing me (as a typical looking "gray") lying on a steel table. Someone (God) asked me three times "Will you be devoted to me, Mary?" The first two times I (as the gray) answered "Lead the way" of which my consciousness interjected, "That's the ego." The third time I (the gray) answered, "Yes, I will be devoted." In the second "dream" I (me in this reality) was standing in the street outside my house. I saw crystal owls flying in line with the street and I was jumping up and down telling them I was one of them. The snow owl sighting happened about four weeks ago. I stepped out on my back deck and there was this owl flying from the back fence line towards the house. I have heard owls before, a couple times outside my bedroom window during the wee early morning hours, but have never seen one. I do not feel the owls I heard were snow owls but this one was. We have hawks in our area and my mind kept saying "This can't be a hawk" as I watched the movement of the owls wings. The movement was so graceful and hypnotizing; it was definitely bigger than a hawk. I am on the path of self mastery, believe in the evolution of consciousness, and Ascension. Healing is my passion. Another bit of information to add to my story is this. Two years ago I bought a hand made drum from Denise Linn. The name she gave to the drum I received was "Owl Tribe". When I opened the box and held the drum I immediately started wailing and crying. I thought that I must sound like an old Native American woman who was just reunited with her treasured drum. Seeing owls at a time of spiritual transition is common. Wishing you great strenght along your path. The owl, the cat that stares supernaturally into the eyes, transmitting boundless love, the number three (specifically 11:01) have all featured heavily in my life. Thanks to your blog, I am perhaps coming to some pretty astounding revelations! Thanks for sharing this. I wrote before, it didn't get posted, I didn't have a email answer/reply. I have seen Owls, not the bird kind (well I have seen those too), but the owl faced humanoid kind. I need help, I need answers! Mike from the blog. You have an owl story?? Contact me thru the email found on the CONTACT listing above. Also, my email is listed on the right hand side bar. I was adopted at age 5 and moved in with my new family. Not long after I started having what I think were nightmares, that happened many times over and were always the same. An owl was the main feature and was on a spiral (just like the spiral seen in the Communion movie) and what was so upsetting to me as a small child was I could sense there were others on the spiral but I couldn't see them, (I assumed they were other animals) and the owl was controlling the others not with words but with it's mind. As a child I don't know where I could have imagined about communicating with the mind. Then I would wake myself up by screaming the house down and the walls looked like they were moving in on me. After happening many times I woke up one morning and instinctively found a purple/red mark in the shape of a cresent below my elbow on the back of my left forearm. My mother immediately noticed it too and asked how I got it.I am 52 now and still have what's left of the mark on my arm. The weird thing is a few years later whilst sitting outside my mum swore she saw a UFO pass over in the sky. She was a sceptic too.it wasn't until I saw Communion (I also read the book) that it seemed so familiar. What do u think, just nightmares or possibly something more? Beware, aliens are not benign creatures here to help us with our troubled lives. They are demons. They may come in many forms and appear beautiful and say things that promise help, but this is a lie. Visually, and audible lies. Yes, Owls are clearly Aliens and telepathic devices. I must agree. 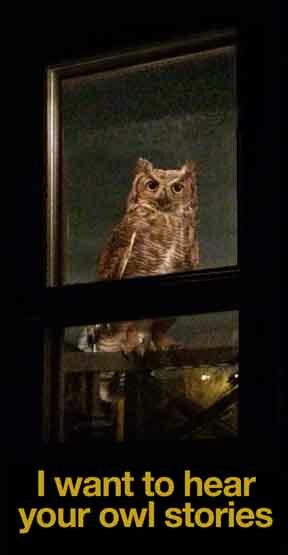 i recently saw an owl in my front yards tree, (super rare, tis has never happened in the 20 years ive lived here) i went outside around 2 in the morning for a ciarette and bam there it was... not more than 10 feet in front of in the tree, i was really perplexed and i finished my smoke and went back inside while this bird was watching me, i am a form believer in the paranormal and UFO related topics and when that happened i didnt know WHAT to think of it, the fact ive never seen an owl till then... keep your eyes to the kies, im doug from canada, cheers! I must say i hv bn having alien experiences too of all sorts and hv bn followed by a white owl if im on an outstation journey. It is astonishing that it is always ahead and waiting..
And a white owl on that at places where there are no birds at all. Its happened so many times that no longer can it be a coincidence. That is why i was attracted to this website. I saw a huge white bird in broad daylight, so big had to work its way onto branch of tree, in the neighbors yard. It was about three feet tall, was very thick bodied (not a crane), and it was tearing at something, eating it from its feet. I was amazed. I ran in house to grab binoculars for close-up view and came back out it was gone. I am in southwest Florida, but the only description that fits is a big white owl! My brother was 8 & I was 6, we often slept together in his room out of always being scared. The house we lived in was passed down from my great grandfather, we would always hear someone walking through the house. Anyway, his room was on the second floor at the back of the house. We were looking outside & saw this strange red light hovering in the sky, I'm not sure how long we watched it. We eventually fell asleep, something woke me up & I see a White Owl staring at us, I quietly wake my brother, the thing we found really strange, we walked very close to window & make out ever detail, the eyes were pitch black & it never flew away. To this day, neither of us can remember anything after seeing the owl?? Wendy -- Please get back to me, I want to hear more about your experience. You can contact me thru email, found on the "contact" link at the top of the page. Back in 2010, I was introduced to the movie Fourth Kind. Being the superstitious type, I’ve found the movie to be particularly terrifying not in the sense of its cinematography whatever your opinion might be on it, but the reality that abduction could very well happen. The white owl as a device connected to UFOs or ETs is possible.. just a week after watching the movie, I was driving back from Baltimore through the backroads, back to my home. It was late at night around 3am and my friend in the car in the passenger seat. Driving thru the sharp darkness of the woods, we spotted a white owl sitting right in the middle of the road staring directly at the car. The fact he was there in the middle of the road made us stop the car. To this day ive not seen a white owl, that was the only time ever. Ill never forget the coincidence in seeing that movie and then immediately seeing it just a week later. I felt it was something beyond this world. When I was really young (probably about 8 or 9) I remember having an intense dream that I cannot for the life of me remember. I remember being very scared. I woke up in sweats and was unable to move or speak for about a minute or two. I felt as if I was being held down. There was also an overwhelming sensation of pressure in my head and arms. Once I was able to move I sat up and looked out of my window. There was a very large owl sitting in my yard about 30 feet from the house. At first I thought it was a man sitting in my yard that's how big this was. As soon as it noticed me looking at it the owl flew directly over my house. I think about this event almost daily lately it was very vivid for me. I would like to hear more. Pleas contact me at the email in my "contact" link. I had a dream when I was a child and it is the first dream that I can remember. We lived in suburban Melbourne Australia. I slept in an upstairs room with my brother.Our single beds were across from each other in parallel with our heads facing the windo towards our backyard. The dream I had was that I was woken one night with a figure standing over me and what I remember most were the dark eyes. As a child the only connection that I compared it too was the hamburger from the Ronald McDonald characters because we would get the McDonald calenders with the free food vouchers. I would have been about 3 or 4 years old. From what I remember the figure spoke to me and I was not afraid and I looked over to my brothers bed and he was with someone both looking and pointing out the window which had a very bright white light coming through the curtains. I did not look out the window and the figure that was with my brother was a family friend around my brothers age. My bro was two years older than me. Fast forward I am 19 years of age driving with my girlfriend at around dusk on a busy freeway in Melbourne. I see this bright star in the sky thinking that Venus looks pretty bright. But I noticed that it was getting brighter and thought it was a passenger jet flying to tullermarine airport, but I could not see any strobe lights. It was getting brighter and then I thought it was a lighter plane going to land at essendon airport which was close by. It kept getting brighter to the point where I was starting to squint my eyes and then I thought it was a helicopter and it's got its spotlight on me. As I thought to tell my girlfriend to look at that light or before I could even let her know the light took off in a 45 degree angle moving out or going up and left a trail behind it like superman in the movie when he is flying around the earth. This whole event was in about one and a half minutes. My girlfriend did not see it. Fast forward to 44 years of age where I am living in a regional town on the south west coast of Victoria in a fairly isolated area, I came home one night and there was a white barn owl sitting in the middle of the road. I stopped my car and got our to have a closer look as my high beams were on and was close enough for me to touch it and it flee away. OK so just an owl. Go forward now 46 years of age. I come home at night pull up next to my house and there is a barn owl sitting on the fence post. No trees where I live. I went inside got my camera a took photos of it. I fairly close and it then flew away into the dark of the paddock. I am also a keen armature astronomer and sometimes see blinking light like strobe lights at night but I think they are satellites reflecting light. They do move and then disappear. As anyway glad to share that. Pretty weird I just hope I was not probed. Who knows what is out there and if so why is it covered up?